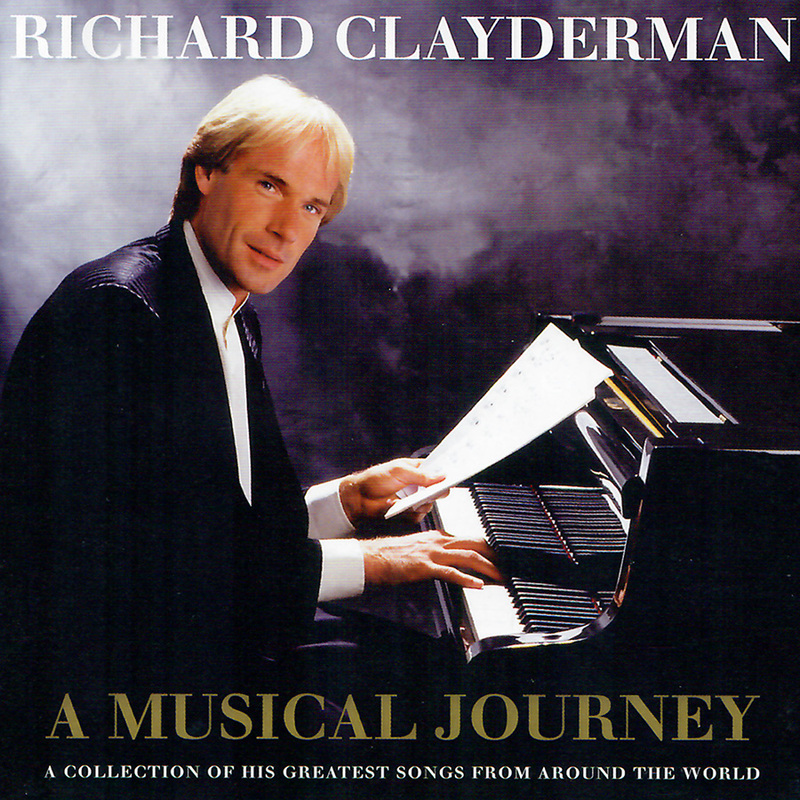 ‘A Musical Journey‘ is a 2 CD collection featuring many of Richard Clayderman’s most distinctive recordings. This new release includes smash hit love songs, original titles, classical favourites as well as some rarer compositions from around the world. The collection includes music of The Beatles, ABBA, Andrew Lloyd Webber, Paul de Senneville & Olivier Toussaint, Ennio Morricone, James Horner and Robbie Williams. ‘Titanic Symphony’, ‘Beatles Medley’, ‘Leo (Lion)’, ‘Eléana’, ‘Old Fashion’, ‘Angels’, ‘Chi Mai’, ‘The Dream Of Olwen’, ‘Can You Feel The Love Tongiht’, ‘Super Trouper’ and ‘Kalinka’.